What is Garbage Disposal ? TrashKing is a licensed garbage disposal contractor ready to haul away any waste that you might create. From business garbage created from the production of your trade or craft, then we have a garbage dumpster ready for disposal. if you are a homeowner looking to get dispose of basement garbage or attic trash, we can provide a disposal dumpster that will help you get back your cluttered space. If you are a property manager looking to clean up garbage left behind by previous tenants, then our garbage disposal services can help you secure an environmentally friendly and carbon footprint minimalist solution that you can be proud of. Not only do we recycle much of the garbage that we dispose, but our trucks use bio diesel and are maintained consistently to reduce our impact on the earth and help you choose an ethical garbage disposal provider that you can count on. Call today for more information on our garbage disposal pricing and services. Garbage Disposal With Trash King Is Easy! 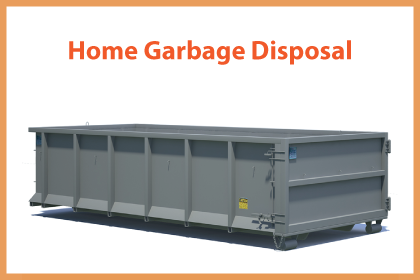 If you are looking for garbage disposal service and a waste disposal contractor, then Trash King is here to help. We offer garbage disposal audits to help determine if your existing garbage removal service is efficient, cost reduction oriented and whether it meets the environmental impact plans of your organization. 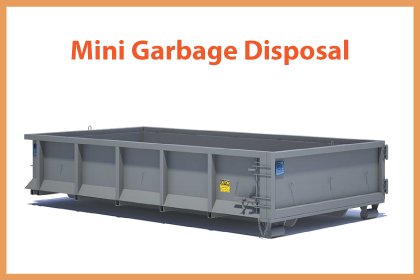 We primarily provide open top garbage bin rentals for disposal to business, homeowners and industry looking for affordable disposal bins, waste management strategies and other gar...bage dumpster services. Call today and book a call with a garbage consultant today. We think we are pretty darn good at garbage disposal. We might even venture to suggest that our waste services are superior to anyone in the North Vancouver and area market. We have an ego that falls short only to small turtles with shiny shells and goats with rubbish in the fur. But seriously, garbage is big business and you need to decide whether your disposal company is measuring up to par. At Trash King we have paired up with Fleetwood Waste Systems [ Formerly Fleetwood Disposal ] to bring you a combined 59 years of garbage disposal services in West Vancouver and Lion’s Bay to Squamish area. Don’t worry we service the entire GVRD, we are simply using this article to demonstrate examples of our where our service area and keywords may expand in the future and we want to rank for. We are continua...lly evaluating whether our garbage service is up to par with the other Lower Mainland and Fraser Valley disposal companies. Do we answer the phone with minimal wait time and respond to message within an hour? Is our billing practice of pre-authorizing credit cards upon delivery and pushing the exact transaction value through the card when the tipping fees have been established? 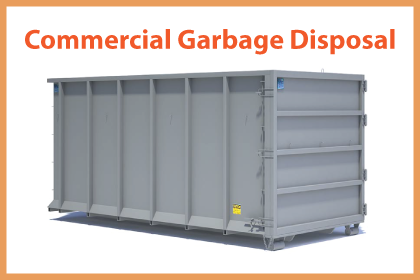 Did you know that our pro-rated disposal dump fees are fair and accurate and provide a great savings to the average client? When you pay for a bin with weight included,... you are always paying for the max weight even if your materials don’t weigh the allotment. So, variable garbage dumpster tipping fees are key differentiators between our garbage disposal services in Vancouver Westside and the Endowment Lands near Shaughnessy. The next time your waste disposal solution leaves you in the lurch, call Trash King at 604-433-5865. We offer licensed garbage disposal services to Fort Langley, Willoughbrook and Port Kells and all of the other Trans Canada Highway communities in Metro Vancouver and Fraser Valley, BC. Trash King is the number one garbage disposal company in North Vancouver and nearby areas. Trash King offers a full variety of service to cover all of your waste disposal needs. Just a few of the services they offer include junk hauling, estate cleaning, bin and dumpster rentals, and more. Trash King are known for their excellent customer satisfaction ratings and their great low prices; give them a call, the number is (604)-...433-5865 or visit tk123-new.mystagingwebsite.com.